The Cincinnati Reds (50-64) will play the rubber game of a three game series at Citi Field against the New York Mets (46-65) today at 12:10 PM. Robert Stephenson will make his long awaited 2018 debut for the Reds. Robert StephensonÃ‚Â has a 1.23 ERA with 55 strikeouts and 17 walks over last 7 starts at AAA (44.0 IP). 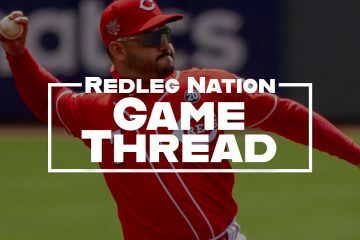 Doug Gray of redsminorleagues.com and RN wrote this about Stephenson making his debut. I encourage you to read Doug’s entire articleÃ‚Â here. ItÃ¢â‚¬â„¢s been a strange path over the last year for Robert Stephenson. After beginning the 2017 season in the big league bullpen and being used incredibly strangely, he was sent back to Triple-A in late May. He performed well in Louisville as a starting pitcher. He then returned to the Major Leagues for the final two months of the season. Now a starter, he posted a 3.30 ERA in 60.0 innings. He allowed 48 hits in that span, but did walk 37 batters Ã¢â‚¬â€œ a rate that was much higher than you would likeÃ‚Â to see. That did come with 59 strikeouts, though. Despite having success in the Majors as a starter with the Reds in the second half of 2017, he went back to the minors to begin 2018. And thatÃ¢â‚¬â„¢s where heÃ¢â‚¬â„¢s been all season long despite the struggles of the rotation, who has an ERA over 5.00 as a whole. Had Robert Stephenson been struggling in Louisville, it would have made sense. But as I type this heÃ¢â‚¬â„¢s currently sporting a 2.87 ERA in 113.0 innings. HeÃ¢â‚¬â„¢s also given up 74 hits allowed and heÃ¢â‚¬â„¢s struck out 135 batters. The walk rate is still higher than you would like Ã¢â‚¬â€œ heÃ¢â‚¬â„¢s given out 57 of them this season. Still, itÃ¢â‚¬â„¢s not as if there has been roaring success with the guys ahead of him, either. Jacob DegromÃ‚Â has been the best pitcher in the NL this season. He has the best ERA, FIP, and fWAR. He has a career 3.00 ERA in 3 starts against the Reds (18.0 IP, 24 K, 6 BB). To make room for Stephenson on the roster, #reds optioned RHP Jesus Reyes to Louisville. Ron Darling pointed out last night that Riggleman said that Stephenson is up for the rest of the year and will be a starter. Really hope he dominates today and the rest of the year. Starting rotation needs it. There would certainly be some poetic justice and redemption for RS if come the end of the season he was seen as the shining light of the rotation heading into 2019. Here’s hoping RS gets off to a solid start. He pitched well in an early matinee appearance a couple of starts back at AAA. Maybe getting out of bed and going straight to work is just the thing to help with the nerves. Are Peraza, Suarez or Gennett ever going to get a day off except for team off days? What are the odds that Dilson Herrera ever averages more than 3 AB/week for the Reds? It’s a struggle to watch this team sometimes. Disappointed that Reyes was sent down instead of Brice. I only saw him in 1 game, and you could just tell that he was better than Brice. Stephenson command of breaking ball is good. Ervin with a little league throw. Missed 2 cutoff men and the 3b .Wow. when they get back to Cincy they better have PE out there early every day practicing hitting the relay men. Again and again and again…Ã¢â‚¬Â¦.. I didn’t think it was possible to miss 3 guys but he did it. Helluva curve ball on the throw. Just not from a left fielder . Stephenson has a good curve and change up. So flipping dumb. Trying to bunt Billy to 3rd. I hope Billy steals 3rd just to show how dumb that was. Peraza is the master at flipping soft liners to right… Why bunt and not even a sacrifice but a popup to the pitcher.?? Mental error and terrible execution. Hamilton is already at 2b with no outs and the top of the order up? Peraza pop up bunt to pitcher and Ervin three man overthrow is bad 10 year old baseball. Yeah even the Mets announcers are saying how stupid it is to bunt Billy to 3rd. I couldn’t believe it when I heard it. And what a predictable outcome for this team. Hmm. Brewers have picked up Ariel Hernandez after he got dropped by the Dodgers and assigned him to AAA. Stephenson 84/85 mph breaking ball is dominant. If he could locate his 95/96 mph fastball abd cut his walks…. You have deGrom or Trevor Bauer. To bad BHam can’t bunt, seen Phillies had a bunt that went for a “home run”. Walking in a run of any kind was not supposed to be on the agenda, Mr. Stephenson. Against the pitcher, it’s a mortal sin. Stephenson can’t consistently locate his fastball. Still. That’s why he’s been in AAA. When was he even trying to throw a fastball might be the ??? of the day. All those misses high to his arm side were in the low to mid 80’s. What were they supposed to have been. Stephenson is pitching decent. Riggleman just put him in as bad spot putting mez on. How bout that bunt call with Billy on 2nd? Can’t see him returning next year. 4 observations thru 4 innings. Lorenzen giving it up big time. He rarely has a clean inning. I guess when you have a bad team you need bad announcers. 3. RS walking in a run facing the pitcher!! 4. I like PErvin at the plate, but how can he miss ALL of the cutoff man every-single-game??? This is against the 3rd worst team in the NL. And they are playing a lineup that has players so bad that teams like the Giants literally paid other teams to take them off their hands (Austin Jackson) and Joey Bats! I think today may be my low point for the year. The entire team look like this is a spring training game. Brice isnÃ¢â‚¬â„¢t on the 25-man roster. He was only up as the 26 th player for SaturdayÃ¢â‚¬â„¢s double header. RS cannot pitch in MLB. He belongs in minors or another team. The question is not will Riggleman come back next year. The question is WHY THE HELL WOULD HE WANT TO? Agree. Tired of crappy pitching. 4 years worth. Agreed, Scott. RS… Same old, same old. What a loss of potential. Guess the Reds werenÃ¢â‚¬â„¢t so dumb leaving Bob Steve in AAA after all. Brought him up today to face an AAAA lineup and … well… dude just doesnÃ¢â‚¬â„¢t have it. Winker/Shebler get hurt, offense goes south. Is this result why we can’t seem to have “nice things” anymore? It is frustrating for Stephenson to do so well in Louisville and then not have that translate to the bigs. Small sample size, granted. I didn’t watch much of the game today, but I did watch long enough to hear Chris Welsh comment that Stephenson looks like the same guy who was optioned out last year. That is pretty scathing criticism, prompted primarily by walking the pitcher with the bases loaded. Doing that cost two runs, because had DeGrom struck out instead of walked, that would have been the second out, and the next batter hit a sacrifice fly that would have been the third out with no run scoring. I concur with some of you on Lorenzen. There is something missing with him right now. I don’t know if it’s velocity or location, but opposing hitters are squaring him up pretty well far too often. Reds are 15 under in early August with a terrible road trip. Starting pitching is poor. Offense is not what it was and Garrett and Lornenzen aren’t the same in the bullpen. Bailey is still owed $29 million after this season ends and Scooter and Hamilton will be owed ~$16 million. 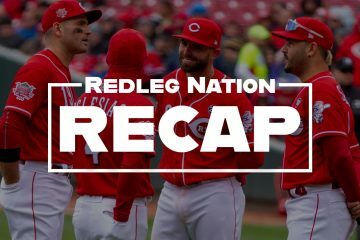 Someone needs to answer the question how the Reds win in 2019 with $45 million owed to 3 players and a collective 1.5 WAR in SP. It’s 2020. No new money to anyone under 28. Stay the course and spend money on pitching for 2020+. really dont think RS pitched that poorly.Intentional walk hurt,but he still walked the pitcher on 4 straight off speed pitches.If he K’s the pitcher his line would have been 1 run,3 hits 2 walks.If,if,if. 1st inning run could have been avoided,possibly with a major leaguer playing left. He only gave up 3 hits,walked 3 other than the 2 intentionals and he did this throwing all off speed pitches.Who called this game from behind the plate?did whoever forget that the guy can throw a 95-96mph fastball. That darn walk to Degrom changed his entire game.